SKiNNY TiRES: Can't Feel My Legs! 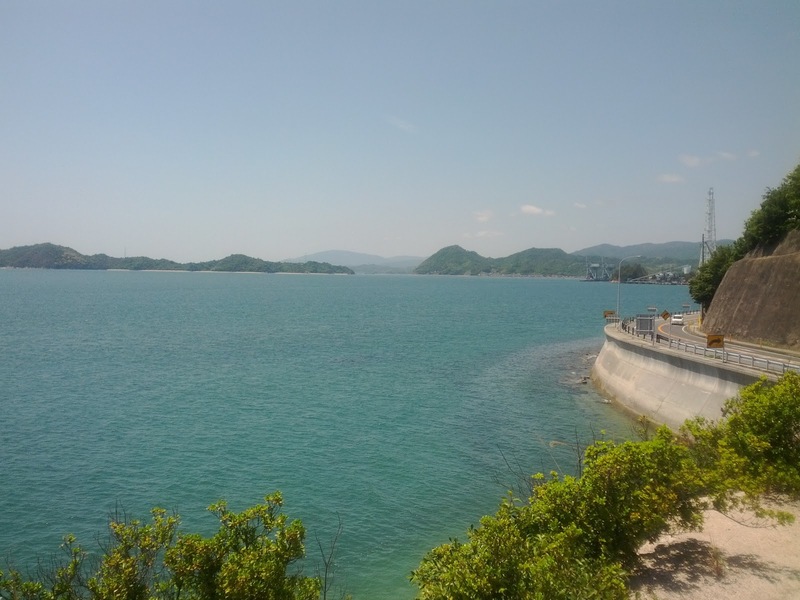 The weather has been real good recently, but today was the first time to ride since Golden Week. 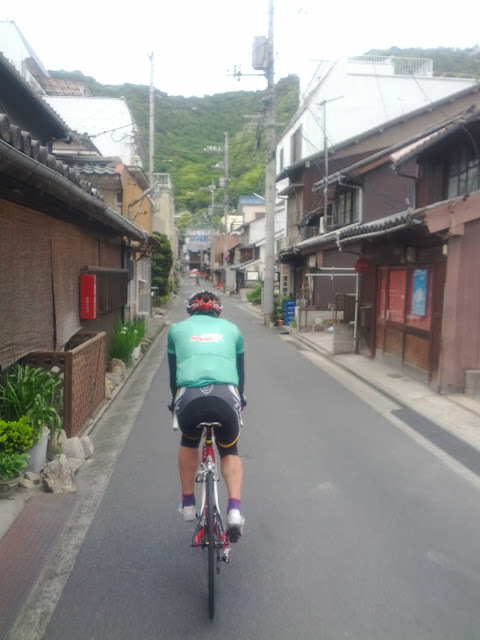 I haven't been able to ride as much as I'd like to since well before Golden Week, and with a race coming up next Sunday, I'm far off from being able to help the team! So yesterday I gave Pei-san the usual call to see what today's route would be. 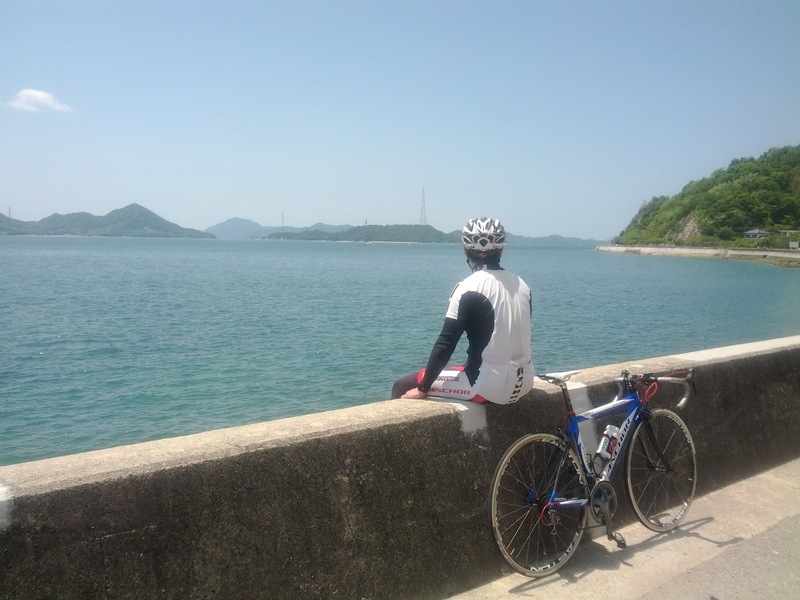 Unfortunately, Anske-san is in Shimane-ken for the Iwami Gran Fondo. 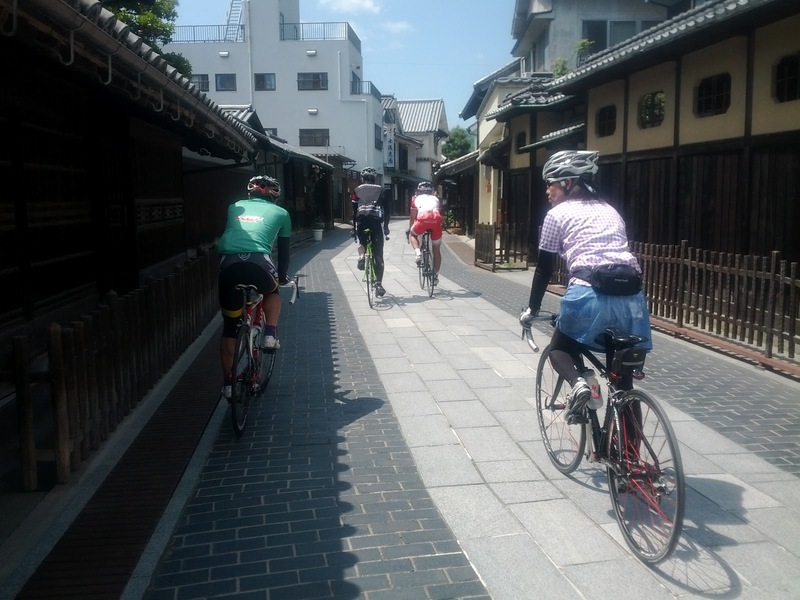 So Pei-san started our ride at 8am from our usual gathering point. With my legs in not so good condition, he led me at a good 35km/h pace through Tomonoura to Tsuneishi. 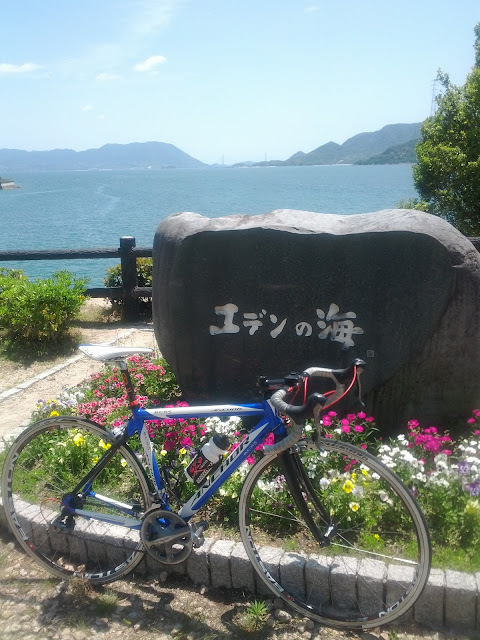 After just about 40km of riding we stopped to refuel at a nearby konbini. (I don't feel too bad, but I'm noticeably weaker and not in great shape) There, I gave Rin a message to see if he could meet up with us. It must be over a year since I last rode with him and we're all glad he's well and back on his bike! 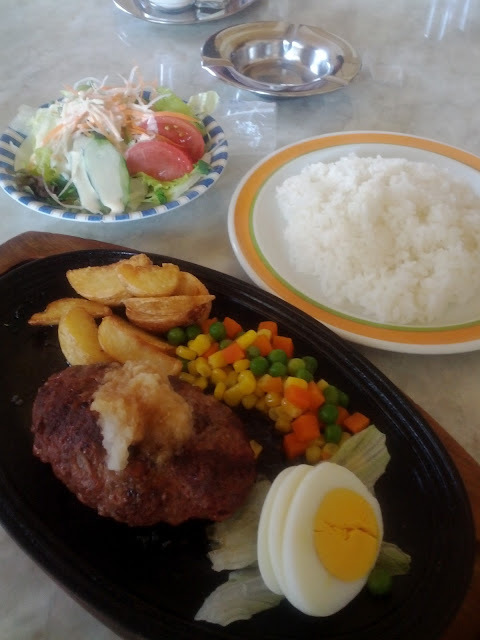 He requests to meet at Chou-Chou in Matsunaga so we head there before thinking about where to go next. Time to refuel! Daikon-oroshi Ponzu Hamburg Set! There was soup, too! After arriving in Mihara, Matsumoto-san (who enjoys watching people suffer) Led us the dreadful hilly route that would take us back to Matsunaga. Now the legs were really suffering, but I somehow managed to stick with it. Rin is in very good form! He led much of the way and was the first up each climb! It's good to see him riding again! Matsu-fufu as always, loving to do painful activities and Pei-san with his Cosmics were also looking good. Everybody is in good form except me! Boohoo, but that's what I get for being lazy. 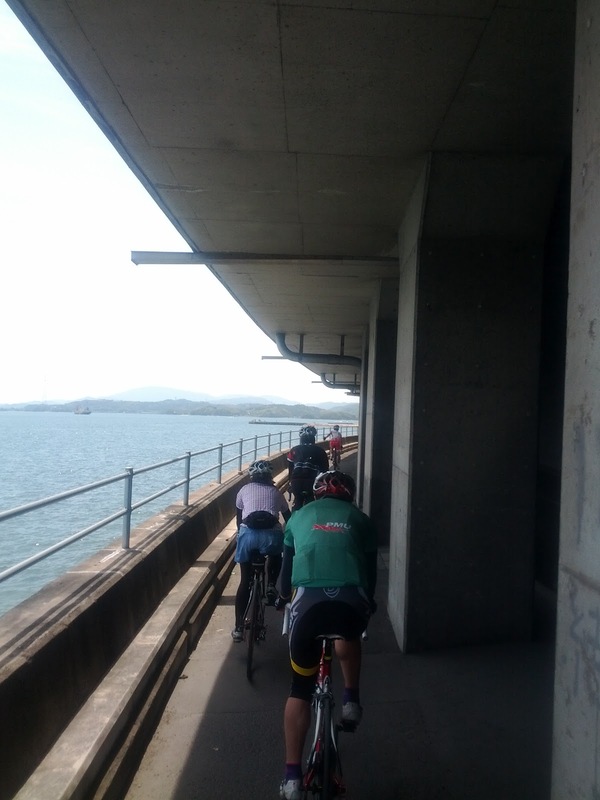 Today's ride totaled about 135km. First time in a long time I've ridden that much, and definitely didn't expect to do that after a long break from riding. Tonights beer will taste real good, but tomorrow's hill-climb time trial is gonna hurt real bad :( Nonetheless, today I was able to get in some much needed exercise and sun! Alright, I think I deserve a beer! Takehara looks so pretty! Enjoy da ride tomorrow too!